What is the Pharma Franchise And How Is It Different from PCD Franchise Business? – If you are thinking of starting your own franchise business the considering the pharmaceuticals sector is a good choice. This business is a good way to start your own venture and get a good opportunity in the market. Tehre are multiple benefits of starting PCD franchise business like promotional schemes, incentives, reasonable prices, better profit margin and much more. When you are new, you might be confused related to what is the pharma franchise & how is it different from PCD franchise business in India. What is Franchise in Pharmaceuticals Sector? The risk is quite low. You have the support of the company in every aspect of investment to promotion. The growth rate in this market is impressive. You can develop and earn more with time and experience. The profit margin is good as medicines have wide demand, you will never be short of smooth sales. Therefore, earning more profits. Staring this business does not need huge investment or capital. Small investments can also lead to good income source. Taking in consideration to all the benefits, franchise business in pharma sector is a good choice. Pharma franchise and PCD franchise are similar but not identical, which we will explain further. Qualification & Experience needed: To start a PCD franchise business, you may or might not require any qualification as per many companies. With the minimum they can ask for SSC pass or 12th pass. In case of pharma franchise, you need to have 3 to 4 years of working experience in a good pharma company. You qualification will also matter in this case which varies from company to company. Experience plays a vital role for those who want to apply for pharma franchise even those who have considerate years as PCD franchise can apply. Investment required: You will require less investment in PCD franchise which can be minimum rs 10, 000 and so on. For pharma franchise, you need to have good investment which is varies from 3 to 4 lakhs or as per company policies. Sales target: PCD pharma franchise is never burdened with high sales target. Many companies do not give targets to PCD franchise vendors. Whereas Pharma franchise vendors need to fulfill the regular sales target being provided to them by the company. Business allotment: PCD franchise owners are given a small area for business whereas pharma franchise owners are given wide area. A single pharma franchise owner works with multiple PCD franchise owners in its locations. 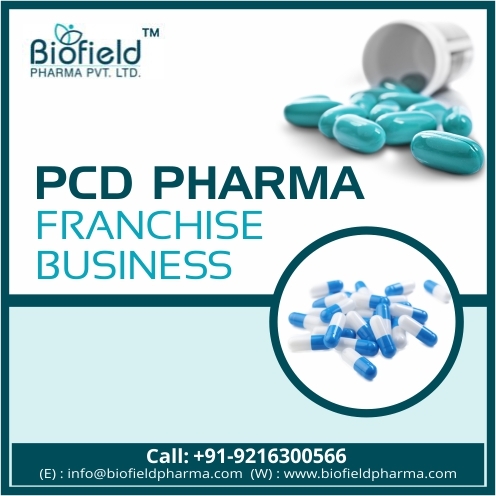 Distribution network: PCD franchise is a miniature form of pharma franchise due to its less distribution networks and people under their work. Pharma franchise are a bigger distributor who has multiple sources to make the sales. This is a reason why many companies favor them more. If you really want to start a franchise business in the pharmaceuticals industry then go with the best pharmaceuticals company. Biofield Pharma is the best ISO certified pharma company that provides pharma marketing services. We have more than 300+ products to offer at the best rates. We assure you to deliver the best in the market with better growth opportunities. I hope the article was beneficial for you.